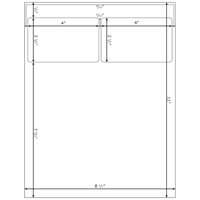 The sheet can be printed with the labels on the top or on the bottom. 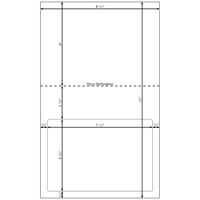 There is a perforation above the labels to remove the part of the sheet with the labels from the rest of the page. 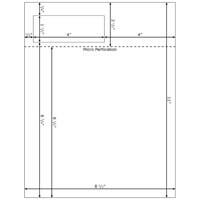 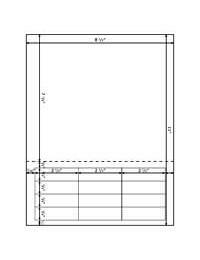 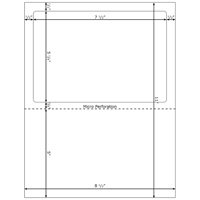 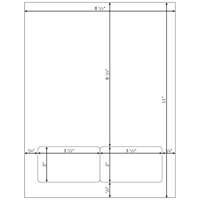 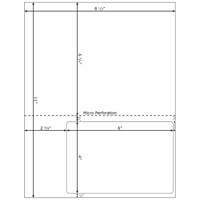 Label Size: 2 1/2" x 3/4"
Distance From Left Edge: 7/16"
Distance From Top Edge: 7 1/2"
1 Horizontal Perforation 7 1/8"